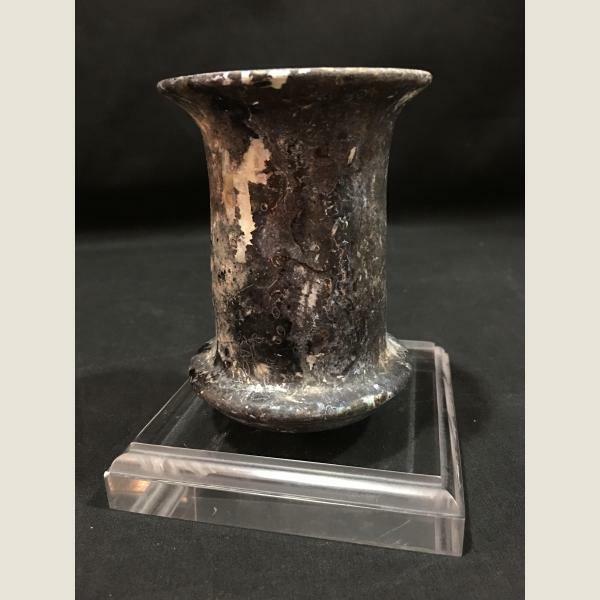 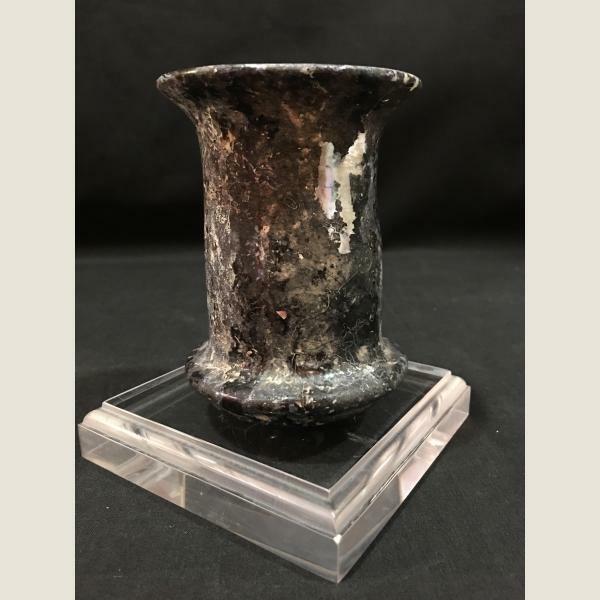 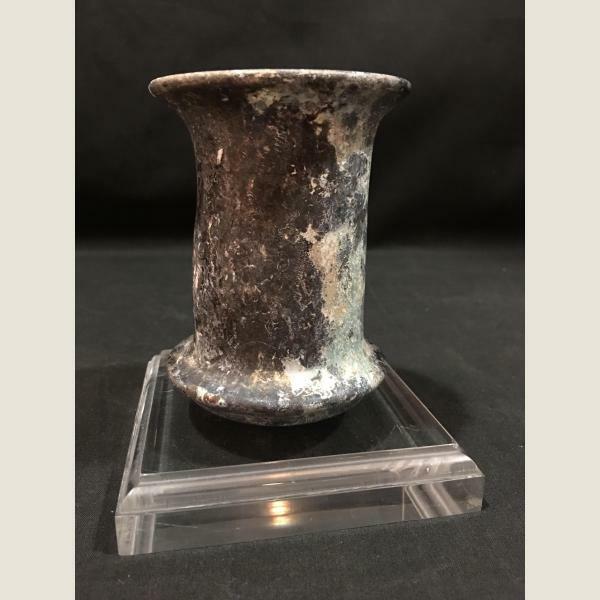 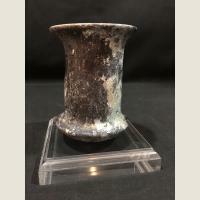 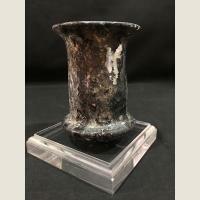 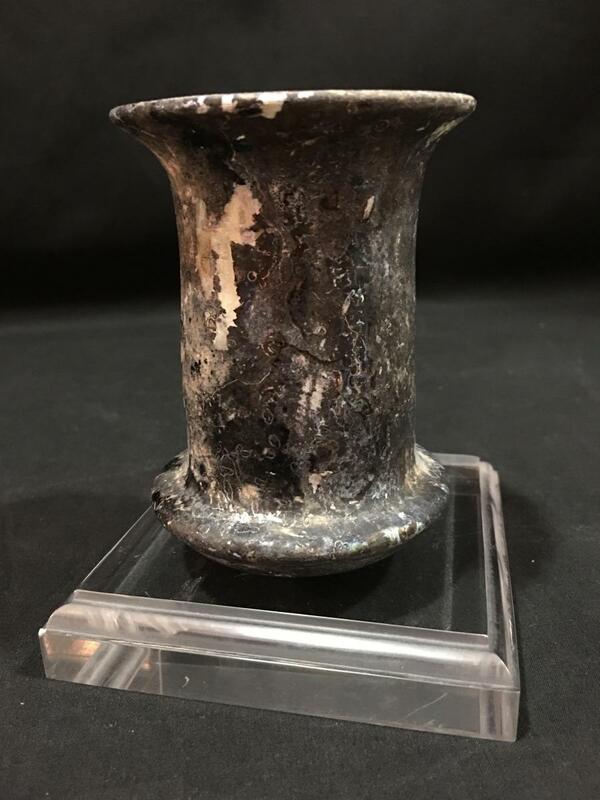 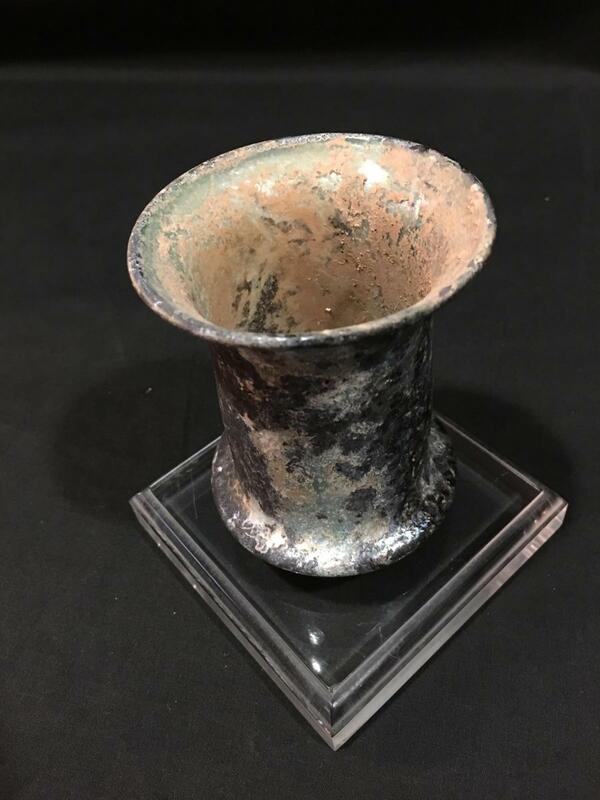 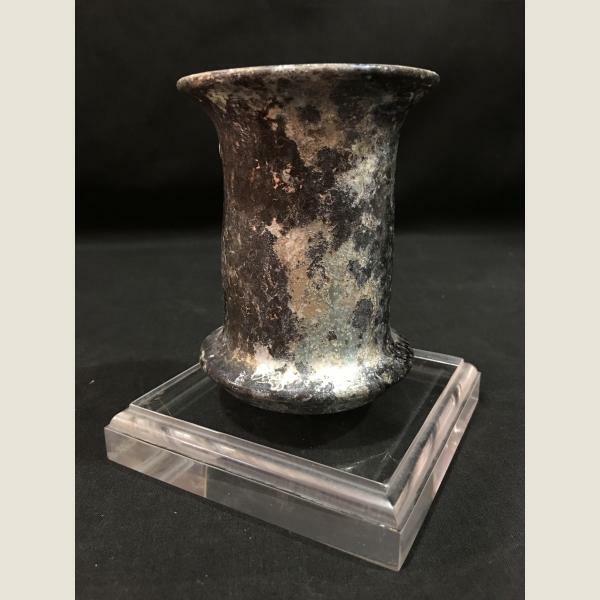 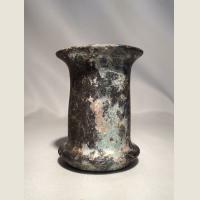 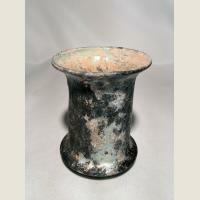 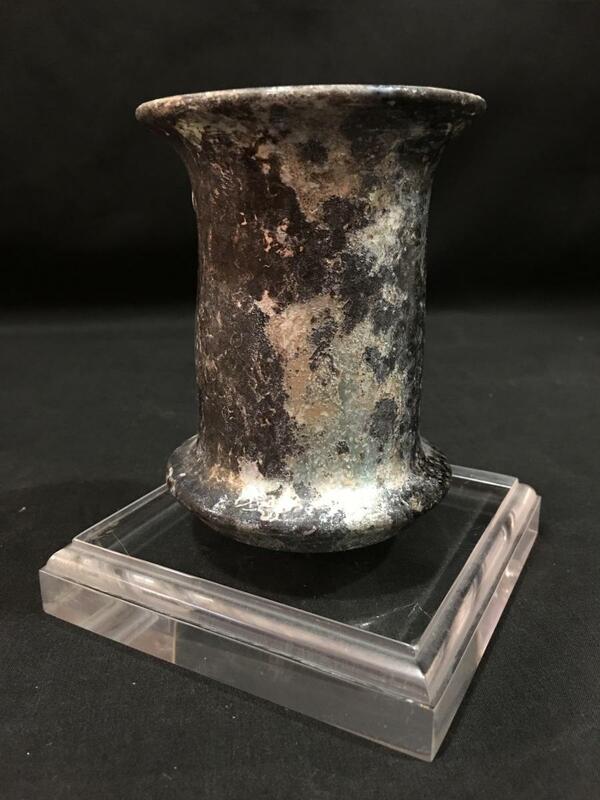 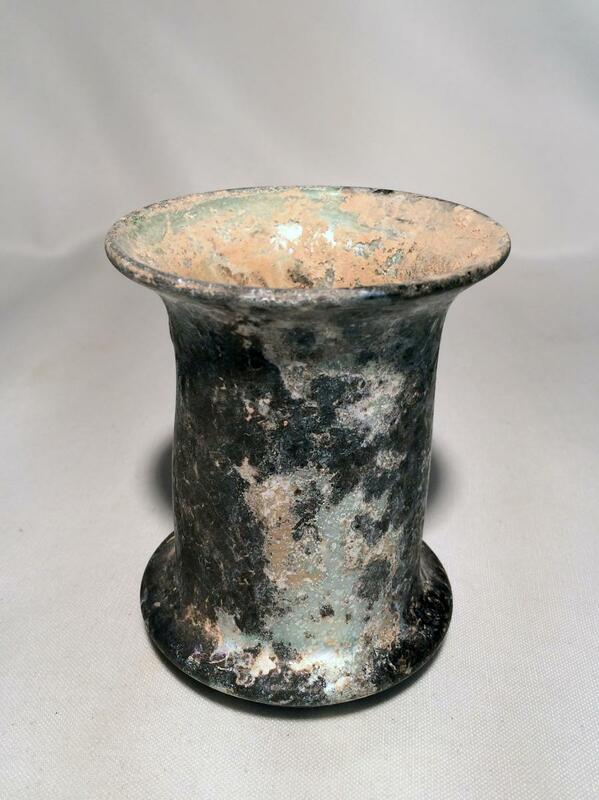 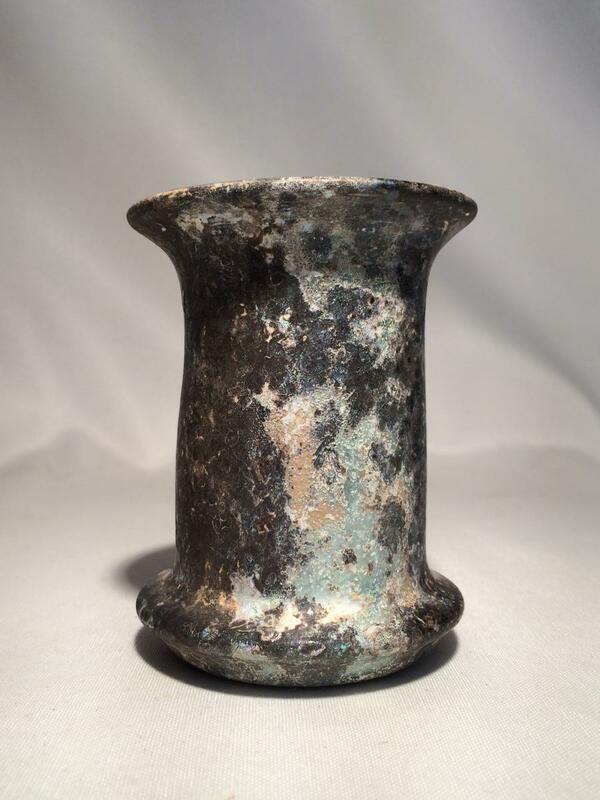 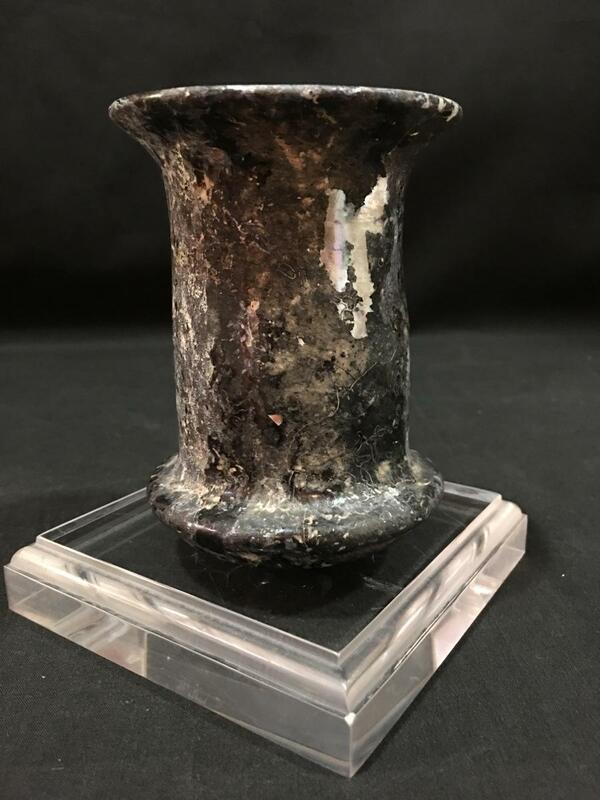 A wonderful large ancient Roman glass beaker with a great deal of encrustation and iridescence emerging below. 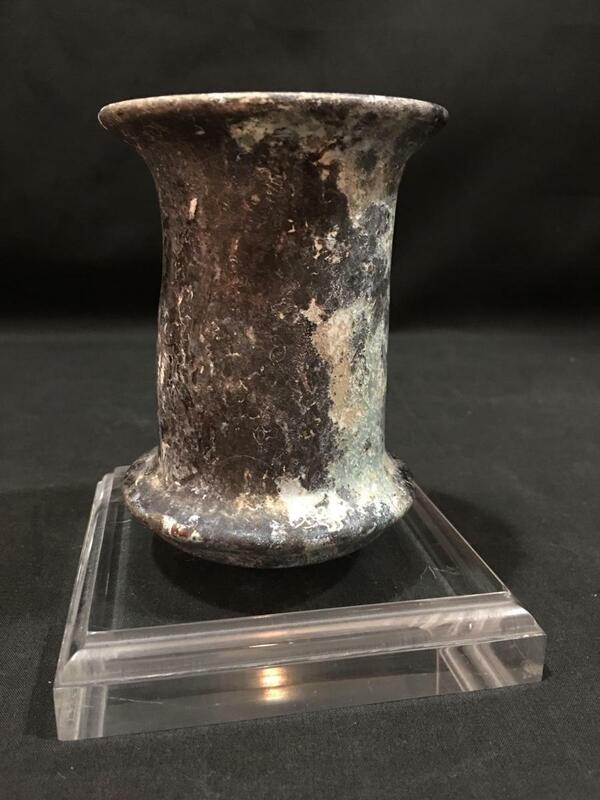 It has an intriguing pearlized almost marble like finish. 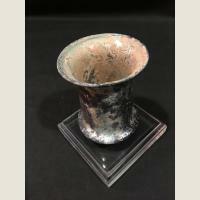 Mounted on a square Lucite base.